Since the invention of the gramophone in 1892, the art of mixing has been vital for the evolution of sound.A� With advancements in technology DJs, RJs and even you, the reader, can create a brilliant playlist for any occasion. That a�?keya�? is Harmonic Mixing. What is Harmonic Mixing? Well, ita��s to create a smooth transition between songs by using the same key while mixing or while setting up a playlist. How do you find the keys to your music collection? DJs would use a piano to find a songa��s key beforehand, and then label each piece of vinyl accordingly, a thankless and time-consuming grind. a�?Mixed In Keya�� founder Yakov Vorobyev, after listening to many DJs like Paul Van Dyk create flawless sets harmonically, created this software to help analyse the key of your song collection. Put simply, harmonic mixing helps ensure that your song transitions wona��t clash, and it also opens up a wealth of possibilities for creative mixes across genres or to create live Mashups. How can you take that knowledge a step further and bring some real musicality into your set? This is where harmonic mixing comes in. When youa��re in the middle of your set and playing one of your favourite tracks, sometimes youa��ll find yourself searching through your music collection, trying to figure out the right thing to play next. Harmonic mixing can help you do it. It virtually guarantees that your next track will complement the one youa��re playing, and that your mix will sound musically seamless. What to do after you find the keys? The Camelot System is the best way to learn how. 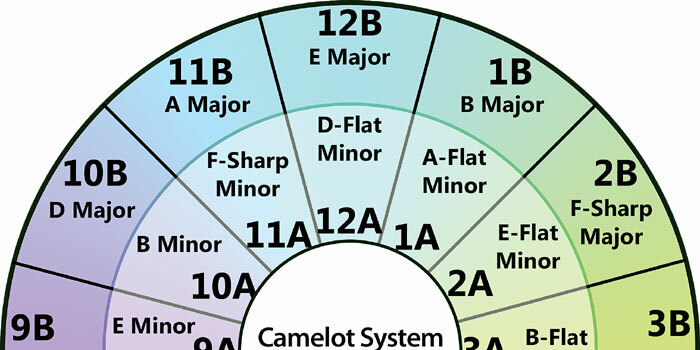 The Camelot Wheel, like a face of the clock has 12 hands that are divided into two for 24 keys, with major chords on the outside and minors on the inside. All you need to do is literally, go around the clock and you will be able to create an upbeat harmonic vibe for the night. With the wheel as a guide, ita��s priceless for DJs in their song selection. Now that you have the key to music city, the next time you are out at a club, listen in and enjoy the vibe set up by the DJa��s, flash a�?em a smile for the work they put into their craft. Nikhil is a music consultant, DJ and radio enthusiast.